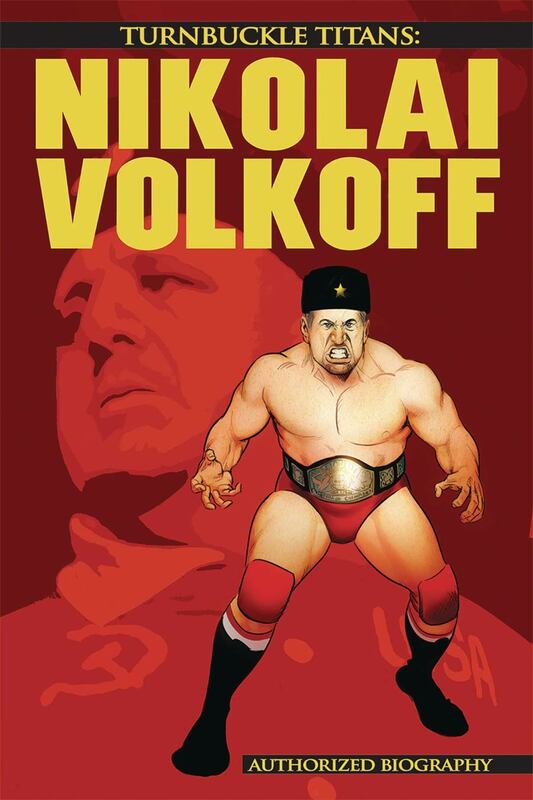 NIKOLAI VOLKOFF COMES TO COMIC STORES!! Available in broad distribution for the first time, the comic book biography of WWE wrestling Hall of Famer Nikolai Volkoff is available in the October issue of Diamond Previews!!! Published for comic shops by Antarctic Press, the full, 3-issue series, Turnbuckle Titans: Nikolai Volkoff, is the authorized comic biography of the late Croatian wrestling legend, 2005 WWE Hall of Famer, and WWF World Tag Team Champion, along with his infamous partner, the Iron Sheik. This is the true life story of one of the most beloved villains in the history of professional wrestling, detailing his escape from communism and climb to pinnacle of wrestling stardom. Written by John Crowther (Squared Circle Comics’ The Genius Lanny Poffo, The Killer Bees, Hacksaw Jim Duggan, Bruno Sammartino and Antarctic Press’ award-winning series, Rochelle) this story is based on in-depth interviews and conversations between the writer and the wrestler. Art is provided by comics legend Dell Barras (Savage Sword of Conan, Blue Beetle, Incredible Spider Man), with colors by Andrew Pate. Originally published independently by wrestling imprint Squared Circle Comics, Nikolai was funded via a series of Kickstarter campaigns, with a share of all profits going directly to Nikolai. With his unexpected and tragic passing earlier this year, his portion of sales will now go to his wife. Turnbuckle Titans: Nikolai Volkoff is available NOW in Diamond Previews in the Antarctic Press Solicitations, using order code OCT181419.